Having just been a photomacrographer since this summer with my FZ-20/Nikon 6T, I have learned an immense amount, both in the field and on this forum. I have posted many images that I thought were pretty good (visit my webpage to get examples). However, as I am sure affects all of us, I want to do better. When I compare my photographs with some of the best around on the web, I notice that mine don�t seem to have the level of detail as those taken with a DSLR, analagous to my pics being a normal TV signal and the DSLR�s being HDTV. I can see the hairs on the flies on my pics, but I cannot the different shading on the hairs, so to speak, as I can see on some of the pics taken with a DSLR. Thus purchasing a DSLR such as the Canon 20d/100mm 2.8 is an option. However, I have done much research on the web and have come across these points that muddy up my purchasing waters. 1)	There are other fantastic pics taken by P&S cameras; our own Danny, Mark Plonsky, etc. Perhaps it is not so much the camera but more the artist/experience? 2)	I have only been using the built-in flash and not external. Perhaps a flash bracket/external flash will help my FZ-20 immensely? 3)	I have read that the P&S cameras give more DOF due to the smaller sensor array. However, will I be able to reproduce the FZ-20�s DOF just by going with lower aperture sizes? i.e., could I just use f22 on a DSLR to be able to get the DOF that I get with f8 on the FZ-20? Losing DOF is a major concern with me if moving to a DSLR. 4)	I also don�t use a tripod with my FZ-20. Are most of the best macro shots (as far as detail, not composition) taken with a tripod? I do have a monopod, but don�t use it as much as I should. 5)	When I take my macro shots, I am usually hiking through heavy brush, thus don�t much like the idea of a heavy camera/external flash/longer lens as well as a tripod. Those of you that have a DSLR, are these valid concerns, or do you just get used to the added �cumbersomeness�? Considering that will be doing almost exclusively macro shooting, what would I gain by going the DSLR route? Will I in fact, once the learning curve is over, see better detail/crispness in my shots? Will my DOF I am used to diminish? �will I still be able to feed my kids (I can see how all the DSLR gadgets can get addicting)? I have read that the P&S cameras give more DOF due to the smaller sensor array. However, will I be able to reproduce the FZ-20�s DOF just by going with lower aperture sizes? i.e., could I just use f22 on a DSLR to be able to get the DOF that I get with f8 on the FZ-20? Losing DOF is a major concern with me if moving to a DSLR. Image Magnification is Not the Same as Field of View. All You Really Need to Know About Reverse-Mounted Camera Lenses Used as Supplementary Diopter Lenses. Do Digital Cameras Produce Greater Depth of Field? Once you have read the above articles, proceed to read the basic DOF articles I have at my Photo Myths pages. Be sure to read the articles in order. Once you have digested this information you will know all you need to know about DOF and you will have a greater understanding of DOF than 99.99% of the photographers who write articles about DOF. I spent a long lunch hour doing as you said and read all the articles, including all those in the Myths section. I remember reading them in the past, but had less appreciation for them since I was just getting started (not that having 4 months of experience under my belt now constitutes veteran status). I understand perspective better, how the camera itself needs to be moved and not just different focal length lenses, I understand now that when you increase image magnification you increase the sizes of the circles of confusion, which in turn decreases the amount of depth of field in the image. I quote: "depth of field depends on the aperture used and image magnification! The less the image is magnified, the greater the depth of field." - I am still having a hard time applying this to the apparent DOF increase with P&S cameras. If the apertures on both a P&S and a DSLR are the same, then is it because that since the actual image size produced needs to magnified more on the computer screen(due to a smaller cmos) to get it to the same size as a DSLR, that that is why it has more apparent DOF and also less detail? Of course, this all boils down to whether I will lose perceived or apparent DOF when going to a DSLR whatever reason it may be. If an individual had both an FZ-20 and a Canon 20d with 100mm macro lens and plenty of time to learn the intracacies of each and they took identical pictures of the same macro subject, would one image, due to the physics of the system, look better? Of course, I know there would be more options lighting wise for the 20d, so let us assume both are using the same external flash on a macrobracket. If not, what differences would I see? I'll answer your concerns tomorrow. Had a long day at work, my friend. BTW, you're not far off track. Let me risk some simple answers to your questions. 1. Yes, at the same distance, field of view, and aperture you will lose DOF in going from the FZ-20 to a DSLR. The loss of DOF is proportional to the increase in sensor size, so you can figure on about 4X versus a typical DSLR (my Canon D300 = 22.2mm x 14.8mm versus FZ-20 = 5.76mm x 4.29mm, if I read the specs right). 3. Yes, an external flash would probably help a lot. One of the drawbacks to small sensors in P&S is that they are noisy, so it's important to run them at their lowest ISO settings. 4. Camera movement is always a problem, but it's not much different between DSLR and P&S. Almost all of my in-the-field macro images are hand-held. Almost all of my benchtop images are machine-held, but usually in some focusing contraption roughly equivalent to a tripod plus a focusing rail. I don't think I have ever used a tripod alone for macro work -- too clumsy. Monopod seems like a good approach that I have just never happened to try. 5. Weight and bulk are both very valid concerns. My Canon D300 with Sigma 105mm macro is a lot bigger and clumsier than your FZ-20 plus Nikon 6T, and it's not as flexible to boot. I strap my Canon D300 to my chest when I go backpacking in the wilderness, but I still haven't figured out how to gear up for really good macro on those trips. Even ignoring the weight and bulk, changing lenses in the field can get a bit dicey because of blowing dust. a. less image noise -- out of focus backgrounds will be smooth, not grainy. b. more flexibility for extreme macro, such as using bellows or through a microscope. c. raw files with more bit depth, which can help in difficult lighting with bright highlights and dark shadows. Will you see better detail and crispness? I wouldn't bet on it. In most macro work like the insects on your web site, there's a conflict between DOF and fuzziness caused by diffraction. Offhand I think the edge of the envelope is in the same place for both sensor sizes. So my answer to your summary question is "quite possibly not much". I have spent some time in your web site, and quite frankly I think your images are pretty dang good. I suspect the biggest problem is that your images are your images, so of course you're going to be aware of every deficiency that you can find at full resolution, meanwhile thinking that other people's stuff is much better because you're only seeing it at web resolution. It's a wonderful trap! Before plunging into a DSLR, I suggest looking around for some full-resolution DSLR images to compare against. Anything that I have posted in the forums or that's on my web site, you're certainly welcome to look at. As pointed out in a couple of my articles, field of view is not the same as image magnification. The same field of view through a pro-sumer digital camera with 1/1.8 ccd requires much less image magnification as the same field of view through an APS-C ccd sized digital SLR. The pro-sumer digital camera image will have more DOF on the ccd than will the dSLR. However, the prosumer digital camera image will require much magnification to be displayed at 1024 x 768 on a computer monitor (or as an 8" x 10" print) as will the APS-C image from the dSLR. This basically negates any "gain" in DOF at the image sensor. All increases of image magnification, whether in-camera or out of camera, affects DOF to make DOF smaller. Yes, at the same distance, field of view, and aperture you will lose DOF in going from the FZ-20 to a DSLR. This is a perfect example of comparing image magnification to field of view. 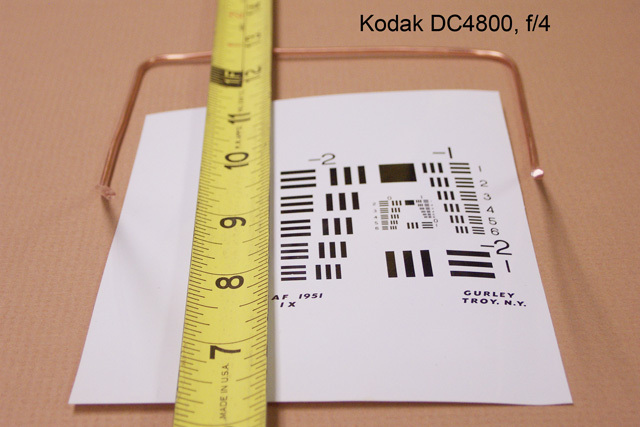 The smaller sensor will have greater DOF (given the same f. stop is set on both cameras) at the image sensor but, it does not take into account the final image size as viewed on a computer monitor or inkjet print. Make an 8" x 10" print from the dSLR image and then make an 8" x 10" print from the FZ-20 image and the final prints will have nearly the same DOF. Why? Because the image from the FZ-20 will have to be enlarged much more than the image from the dSLR to fit the 8" x 10" print. This is increasing image magnification which, in turn, increases the sizes of the circles of confusion in the image which, in turn, reduces DOF. Yes, you can probably gain back the DOF by stopping down. OK, you can stop the lens down on the dSLR to match the DOF on the image sensor to that on the image sensor of the FZ-20. Now, when you go to make 8" x 10" inkjet prints of the image files, the image from the dSLR will now have much more DOF than the image from the FZ-20. Again, the larger sensor format "loses" less DOF when magnified to fit the 8" x 10" print than does the FZ-20 image that has to magnified so much more to fill out an 8" x 10" print. When image magnification is the same in both the pro-sumer digital camera with the 1/1.8 ccd and the dSLR with an APS-C sensor, then DOF will be the same at the image sensors. For example, we photograph a beetle that just fills an APS-C sensor at 1:1 image magnification. The beetle just fills the length of the APS-C sensor. Let's say we set our f. stop at f. 16. Next, we photograph the same beetle with a pro-sumer camera with a 1/1.8 sensor. We could probably only fit the head of the beetle in the field of view at 1:1 because the 1/1.8 sensor is so much smaller than the APS-C sized sensor. The image magnification is still 1:1 but the 1/1.8 sensor is too small to capture the whole beetle. (This is digital cropping, erroneously called "digital magnification".) If we set the f. stop on the pro-sumer camera to f. 16, the image at the pro-sumer sensor will have the same DOF as the image made with the dSLR set to the same f. stop. Of course, we are never satisfied to view our images at the same size as the sensors used to capture the image so we magnify the image on our screens or we make larger prints of the images with our inkjet printers. First, let's print the image of the whole beetle captured with the dSLR. We'll make an 8" x 10" print. Next, let's make an 8" x 10" print of the beetle's head as captured by the pro-sumer camera. If we compare the DOF of the beetle's head in the final 8" x 10" prints we will find that the beetle's head in the print made from the pro-sumer camera will be less than the DOF of the head in the print made from the dSLR. Why? The 1/1.8 has to be magnified much more to fill the 8" x 10" print than does the APS-C sized image from the dSLR. More image magnification yields less DOF and it does not matter if the image is magnified in the camera or magnified with some sort of output device. When the same focal length lenses are mounted on different film/ccd/cmos format cameras and all of the lenses are focused to the same image magnification and are set to the same f. stop, the smaller formats will yield less DOF when images are displayed at the same size whether they are displayed as inkjet prints of the same size or the images are displayed the same size on the computer monitor. You can easily check this with a simple DOF calculator found HERE. Set the focal length of the lens to 100mm, set the f. stop to f. 8, and set the subject distance to 10 feet, for example, This will yield the same image magnification at the plane of the sensor or film regardless the format size, Now, calculate the DOF for the different film formats. You will find the total DOF will become smaller when calculated for smaller film formats and the total DOF will be larger for larger film formats. Digital is no different than film. Comparing smaller sensor sizes to larger sensor sizes will follow the same pattern. DOF calculators take into account that smaller formats have to be magnified more when viewing the final images at the same size. Increase magnification and DOF decreases. OK, I've taken so long to write this that I have to get ready for work. When I get home tonight I will explain why I think the dSLR is the superior tool, for me, for macro photography. The size and weight difference is tremendous! But you do get used to it. When I got the Pro90IS digicam, I thought the camera was huge, and I got stares using it in national parks. That was the first time I was asked if I worked for National Geographic. It seemed so large I felt like I had an albatross hanging from my neck. When I got my D60, I gave the Pro90IS in thanks to a friend who had maintained my cars and computer for years, and I didn't see it for quite awhile....After not seeing it for about a year, I happened to see it at my friends house, and my first impulse was to say "Wow, it's just like a camera, only smaller!" It seemed like a toy. I'd gotten quite used to carrying the larger SLR and lenses, not to mention a tripod. So you get over it. One bit of optics that I do understand and hasn't been mentioned is that diffraction and noise has the potential to eat your lunch if you're using a high-megapixel digicam, especially if you do so stopped down or at high ISO setting. I'm pretty comfortable on my theory on that. I suspect you also have more dynamic range with the larger pixels on a DSLR, but haven't ever seen that discussed. Maybe Tom has knowledge of it. Assuming both of these are right (and I'm quite sure the diffraction one is, though I haven't tested it), you will definitely get better image quality on a DSLR. A more pragmatic way of examining this is to consider that none of the big-name nature photographers who have switched to digital chose a prosumer digicam. And they'd do it in a moment if they could carry less weight and get the same image quality as a DSLR! One other nifty thing about DSLRs (though it is also a risk to your wallet) is that by switching lenses, you can get some unique lenses that do some pretty awesome thing. The Canon MP-E-65 is a good example. You do have to shell out some money for this, though! There is a price to be paid in flexibility for this, though. If you're content with your images and capabilities with the digicam, frankly I'd stick with it and spend the money on going someplace interesting, or (heaven forbid) food and shelter for the family! But if you're dissatisfied iwth image quality, crave some of the capabilities of a DSLR and specialized lenses, and can afford it, I think you'll be wowed by your experience shooting with a DSLR! at the same distance, field of view, and aperture you will lose DOF in going from the FZ-20 to a DSLR. Make an 8" x 10" print from the dSLR image and then make an 8" x 10" print from the FZ-20 image and the final prints will have nearly the same DOF. Take two cameras, one with a big sensor and one with a little sensor. Set them up to shoot the same close-up scene with each camera, from the same position, with the same field of view, and the same f-number. We'll make the final images the same size, and look at them to see how the DOFs compare. Here's a jig to simplify the setup. The legs of the wire point inward to the place where you want to put the entrance pupil of the lens. Position each camera so that it looks straight along both legs. Here are some results, using a Canon Digital Rebel (big sensor) and a Kodak DC4800 (little sensor). Same distance, same field of view, same f-number, same final image size, and (whoops!) 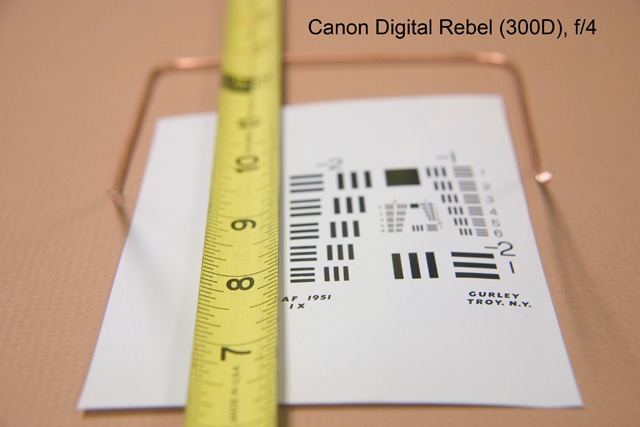 the small sensor'd Kodak DC4800 has hugely greater DOF than the large-sensor'd Canon 300D. You can reproduce these results yourself, if you have two appropriate cameras. You can also reproduce them using many of the online depth-of-field calculators. For example let's use http://www.dofmaster.com/dofjs.html . Compare 35mm film with a 50mm lens against a Canon Powershot A520 with an 8.3 mm lens. (The A520 has a sensor that is 6X smaller than 35mm film, so the lens has to be 6X shorter to maintain the same field of view.) At f/2.8 and 10 inches distance, 35mm film has a total depth of field of 0.14 inches, while the A520 has 1.01 inches. The calculator works to a constant final image size, so this is the same comparison illustrated above. I confess, I too had always thought that DOF did not depend on sensor size. But when Ken posted his question, I ran the experiment just as a cross-check and (uh-oh!) the results did not agree with what I had expected. So I reran the experiment very carefully, took a serious look at the theory, and discovered that what I had always thought, was wrong. Very briefly, the circles of confusion at the sensor shrink by lens length squared, while the required magnification to maintain final image size grows in proportion to lens length to only the first power. I had always thought that they scaled at the same rate. Anyway, the bottom line seems to be that in fact DOF is greater for a small sensor -- at the same distance, field of view, f-number, and final image size. I'm not sure that this matters to anything that I do, but it'll be interesting figuring that out. See http://www.wrotniak.net/photo/dof/ for some other discussion of these issues. Michael Reichmann (a fine art photographer, and publisher of a website that is very informative, despite an embarassing lack of macro stuff) compared one of the better digicams to one of the better DSLRs a year or so ago and wrote an article about it. To my knowledge, nothing dramatic has changed. The short answer is that the DSLR produces a better-quality image, but not awesomely so. Your results certainly look interesting but, unfortunately, your results are invalid. You set up an improper comparison. You cannot tilt the camera when you shoot tests for DOF. By tilting the camera you are redistributing the DOF, not measuring the true depth. Basically, you have shown how tilting the camera lens can redistribute DOF to capture more near-to-far DOF. This is the same method that photographers who use view cameras "extend" depth of field by tilting the camera lens forward. Tilting the lens allows you to tilt the total DOF so that the DOF can encompass more near and far objects. That's all. Your results here, Rik, show that ability more than they prove that a small sensor can create greater DOF. DOF can only be accurately measured by keeping the camera parallel to a plane of best focus. 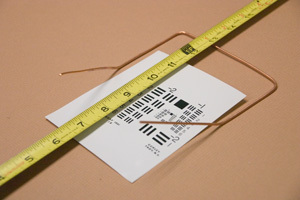 This is accomplished in optics laboratories by the use of an optical bench. A vertical target is carefully aligned with the optical plane of a lens and the vertical target is carefully moved in very tiny increments back and forth to establish the plane of best focus. Once the plane of best focus is established by creating image circles of least confusion at the focus point behind the lens, the target is moved in very controlled tiny increments and the circles of confusion are measured. This is how real tets of DOF are performed. Now, the laws of optical physics have been known for over 300 years and not once have they been shown to be violated. Sorry folks, thems the facts. Also, the DOF calculator I linked to and Rik has linked to plays games with the sizes of the circles of confusion. I will rebut the findings but don't have the time to do so right now. Things are not always what the DOF calculator shows. That's why I stuck with comparing APS-C sensor to 35mm comparison. I'll probably have to do this after Xmas. Sorry, my friends but this gives you something to look forward to. Hi ya', Tom. I'm looking forward to your rebuttal. I hope to see some convincing images included. In hopes of clarifying the discussion, let me point out that there are two very different cases. Case 1: Same f-number, same sensor size, change lens length and adjust distance to get same field of view. In this case DOF does not change. Case 2: Same f-number, same distance, change sensor size and adjust lens length to get same field of view. In this case the smaller sensor and correspondingly shorter lens gives larger DOF. In this discussion comparing cameras, I'm dealing with Case 2. Let's not be talking past each other. A 100 mm lens mounted on a 35mm camera, set at f. 11, and focused on a subject at 5 meters (16.4 ft) will produce a total depth of field of 1.837 meters (6.04 ft). A 66mm lens mounted on the digital camera, set at f. 11, and focused on the capybara at 5 meters (16.4 ft) will produce a total depth of field of 2.996 meters (9.83 ft). 2.996 meters is more DOF than 1.837 meters, and by a factor of 1.6 -- the ratio of sensor sizes. All I'm doing is providing a more extreme example of the same effect. I have a feeling I'm going to get embarassed here....But wouldn't the 66mm lens have a lower magnification than the 100mm lens in the above situation? And more DOF? Don't forget the digital cropping vs. magnification distinction. A 100 mm lens on 35mm film (24mm x 36 mm "sensor") and a 66mm lens on 16mm x 24mm sensor will produce the same full-frame field of view at the same subject distance. You have to magnify the 16mmx24mm image more to get a standard print, say 8x12 inches. But when you're done, in that standard print size, the image coming from the smaller sensor will have greater DOF (as I illustrated). Nobody's forgetting magnification. What's going on in the optics is only that as the sensor & lens get smaller, the geometric blur circles get smaller even faster. So when you magnify the image back to a standard size, the image from the smaller sensor has greater DOF. This ignores diffraction. When diffraction kicks in, you have to widen the aperture (reduce the f-number) in proportion to the shrinking sensor. This compensates for the otherwise increasing DOF at fixed f-number. As I understand the process, the result is a wash and the large and small sensors both deliver essentially the same DOF at their respective diffraction-limited apertures.